Common choices for focus are: facial equipment, facial masks, waxing and hair removal, chemical peels and techniques, exfoliation, skin analysis, body wraps, cleansing techniques, salon business management, and makeup artistry. Upon completion of your degree program, you will be required to earn a passing score on the state licensing exam for estheticians. Therefore, you will want to be sure that you obtain all of the information that you possibly can while completing your course work. Depending upon which post-secondary school you decide to attend you may be required to complete an internship prior to graduation. While you may not think this is a necessary requirement that should precede graduation, it will likely positively influence how well you do on your licensing exam. Furthermore, some schools help their graduates find employment following graduation. Should you decide to further your educational degree level; many schools will help you complete the requirements to gain entry into the program of your choice. After gaining your certification as an esthetician, you can also choose to continue your education by becoming a cosmetologist, or by entering a program to become a medical esthetician. As you begin your career as an esthetician, you will spend your time working with clients to help them improve the appearance of their skin. This will involve you applying your skills set and knowledge in order to create a skin care plan that will specifically fit each of your clients. 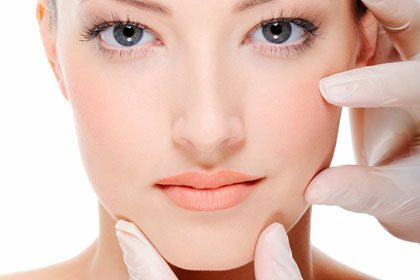 You will spend much of your time conducting skin care services such as: facial mask applications, deep pore cleanses, analysis of facial skin, and facial massages. It will be crucial to your success that you can effectively communicate with your clientele, choose appropriate skin care treatments, and recommend cosmetics and skin care products. This will require that you stay abreast of current cosmetic related trends and that you know the advantages and disadvantages of each. It is important to note that regardless of the type of setting you plan to work within, you must first pass your licensing exam before you will be eligible for work. If it is your ultimate goal to open your own salon or business, you will likely benefit from also completing course work related to business management. In addition, estheticians should be prepared to take continuing education courses. This will help to broaden their skills base, which in turn will likely influence their clientele and success rate. Estheticians make on average $37,500 per year. The top 10% earn $42,885. The projected job growth is 30%. We have seen a few postings online where we see some opportunity for a trained aesthetician for $60,000-$70,000.